Have you already starting thinking about what you’ll do after you retire? Assuming you’re among the 69 percent of Americans who saved a little something for retirement, you have lots of options for how you’ll spend those golden years. For many folks, retirement is a time to travel. Unfettered by work schedules and family obligations, hundreds of thousands of retirees hit the road each year to visit places they’ve always wanted to go. For others, fulfilling a previously unmet desire, like adopting a new hobby or even starting a business that’s totally different from their life’s work, is their retirement dream. If you want to enjoy the best of both worlds — traveling and starting over — consider retiring to Australia. If you’ve never thought about traveling to Australia before, it’s time to rethink this incredibly vibrant and economically-advanced destination as your potential retirement home. With a land mass that’s comparable to the size of the continental United States, Australia offers similar variations in climate across the country. You’ll find thickly wooded ranges, tropical rainforests, rolling hills, red-hued rock formations, tawny deserts, beautiful beaches, and sun-baked plains as you travel from one area to another. Likewise, Australia has its share of thriving, densely-populated cities like Sydney and Melbourne as well as smaller communities like Kingaroy or Swan Hill. Also like the United States, the climate varies based on where in the country you are. Remember though, Australia is on the opposite side of the equator, so the southern half of the country is colder than the northern half, and the seasons are completely opposite. 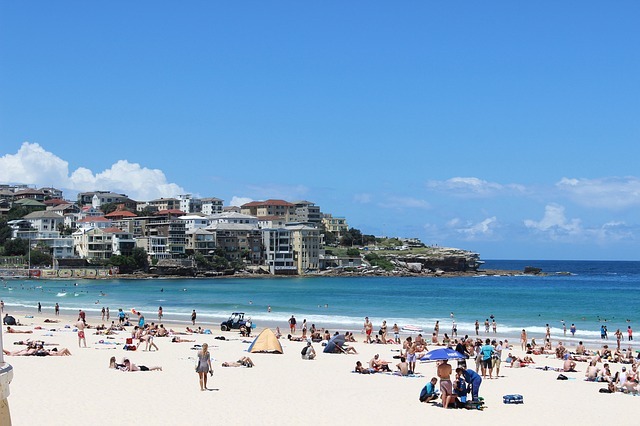 Summer in Australia spans from December through February, while winter is June through August. This may take some getting used to, but it’s an excellent advantage for your visitors from home (imagine a sunny, 85 degree Christmas by the beach). The relatively mild year-round Australian climate alone attracts a lot of retirees. Another reason retirement to Australia is growing in popularity is the excellent quality of life residents enjoy. In fact, Australia is rated second only to Norway for quality of life, which includes life expectancy, gross national income, and standard of living. The country is also ranked fifth in the world for economic freedom, meaning residents and business owners enjoy low unemployment numbers, low inflation rates, and a free-market democracy that encourages entrepreneurial development. For retirees considering starting a new business, either for adventure or additional income, Australia is an excellent location. The country’s booming $42.3 billion tourism industry offers lots of exciting opportunities, from starting a tour company to opening a surf shop to finding motels and hotels for sale and becoming a resort property manager, which has the added benefit of letting you reside where you work. Caravan parks (the Australian version of RV parks) are growing in popularity, especially among your fellow retirees, so opening or taking over an existing caravan park is also a great investment and a wonderful way to spend your retirement. Before you pack up your belongings and book your flight to Down Under, understand that taking up permanent residency in Australia will require a retirement visa. Retirement visas are only available for folks over 55 years of age, and you can’t have any dependents other than a spouse. One option is to start with a temporary four-year visa that can later be renewed for two-year periods, or opt for a permanent retirement or “investment” visa, which will vary based on where you want to settle and your amount of assets.